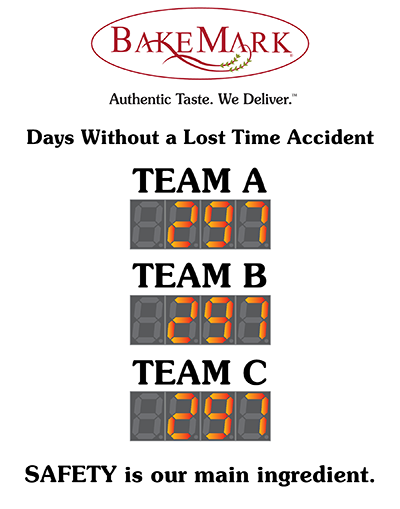 Track multiple teams with this number days since last accident sign with three displays. 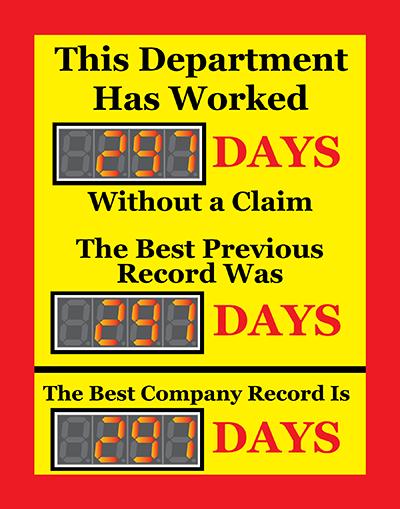 Clearly define what each counter is for using our online designer. 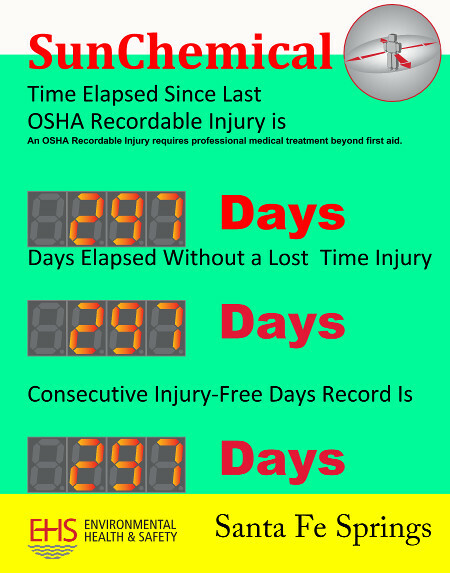 We all know what happens when safety isn't prioritized. 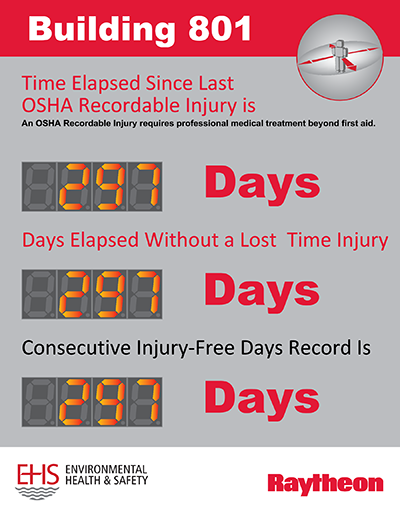 When leaders don't embrace safety, accidents happen and workplace morale plummets. This lost time accident scoreboard is a great way to reinforce company safety culture and keep everyone focused on returning home safely. 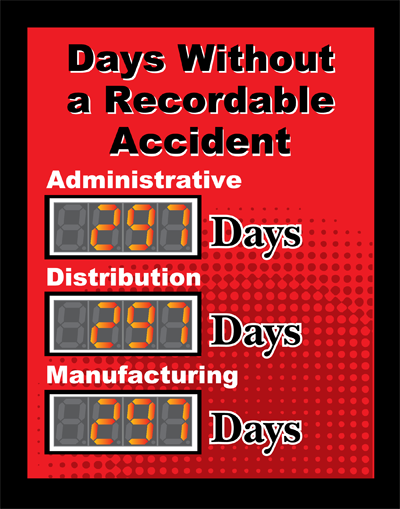 With three counters you have the option to track accident free days for three separate departments or two departments and a record. Inspire competition between work groups or just raise awareness for all. 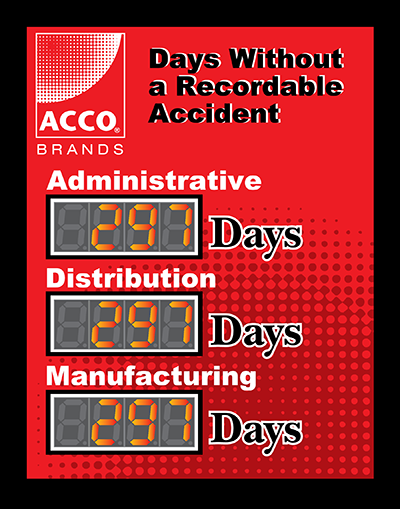 These 2.3" digit displays are highly visible and will automatically advance daily. 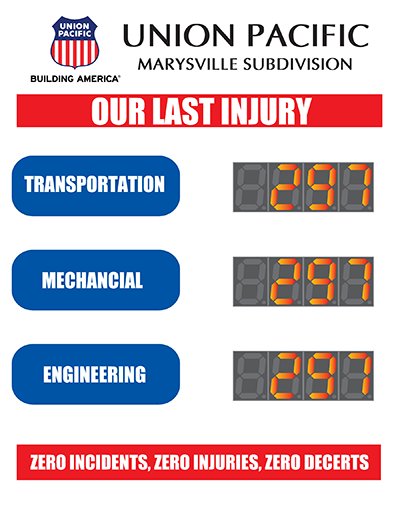 With dimensions of 28 inches high by 22 inches wide this sign should fit nicely just about anywhere and provide a nice visual cue to remind employees to stay focused on safety.